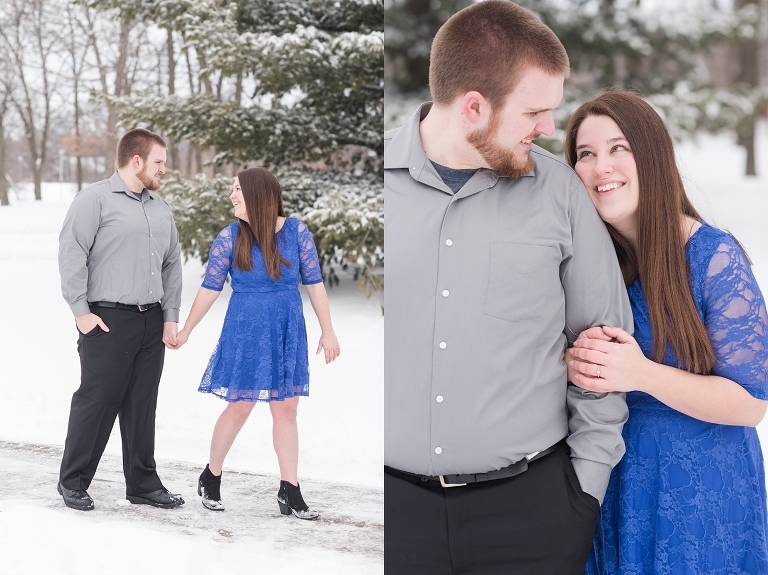 We’ve been waiting for the perfect snowfall since Ethan proposed to Tara in December so that we could make Tara’s dreams come true – a snowy engagement session. 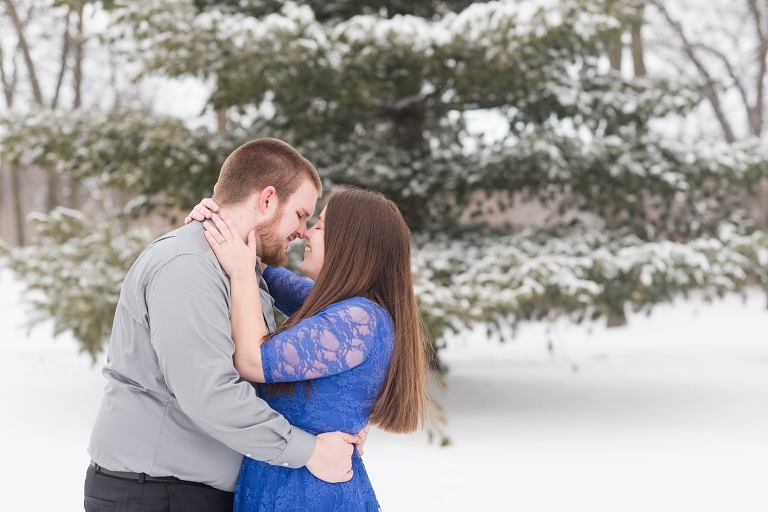 When all of the snow melted in January (did you see the previous winter engagement shoot? It was like fall!) I wasn’t sure it would happen, but then we had THE snowiest week we’ve had in several years. After rescheduling at least three times (all because it was TOO snowy), we finally made it happen. The most beautiful fluffy white snow! It was perfect! After braving the roads to get to Ottumwa, I was welcomed to a gorgeous winter wonderland by this sweet family – they even brought me hot chocolate and my favorite candy! They are awesome like that 🙂 Not once did they complain about the snow, even when Ethan fell into a deep pile all the way up to his knees! Instead, they were joyfully willing to walk a good 500 yards to the perfect draw bridge and basically freeze their toes off. These two are wonderful! I hope you enjoy these as much as I do – can’t wait for May! 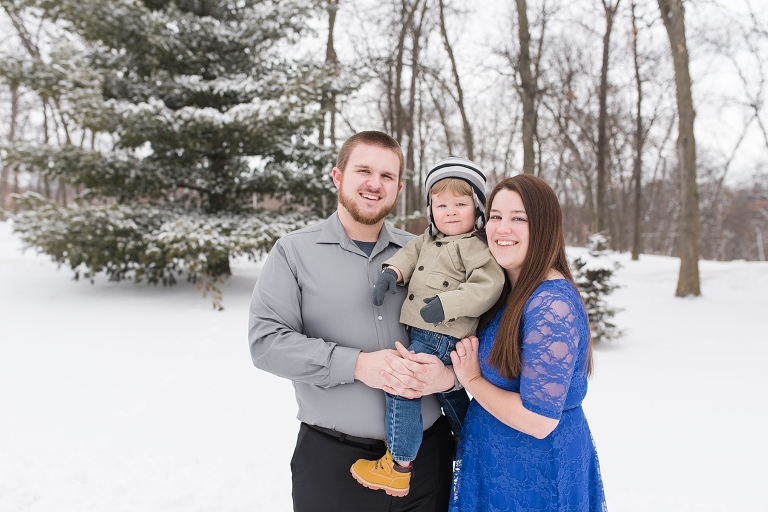 Tara and Ethan’s adorable little boy joined us for the first part of their session – he is the cutest! Trudging through the snow drifts…. 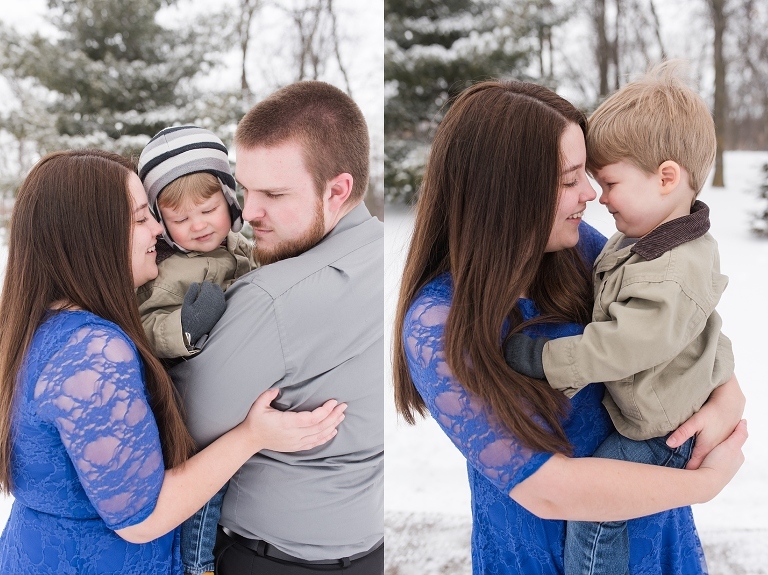 About 2 minutes before this, Ethan had his unfortunate incident with the snow….cold hands and snow covered pants and LOTS of laughs. Thanks for giving it a second chance! A few final snuggly photos! I’m kicking myself for not getting these edited and posted before Valentine’s Day! They are adorable! Thanks for a memorable engagement session! I’m glad the snow finally cooperated with us!